The world of workplace risk assessment is lacking objective data. Decisions are based on hunches, but not hard data. This technology enables employers to take risk assessment to the next level and actually know the demands that a given task or job is putting on the human body – in particular the stress and strain on the low back and shoulders. The combination of accurate movement data and muscle activity information inside a user-friendly system for use onsite, in the warehouse, driving long distances, indeed anywhere, is unique. dorsaVi’s award winning solutions have helped companies around the world take the guesswork out of workplace risk. dorsaVi knows that real world information can lead to employees, patients and athletes staying healthier, moving better and being more productive. Vinci Construction was the first company in the UK to work with ViSafe technology.  Created a 17% productivity gain. 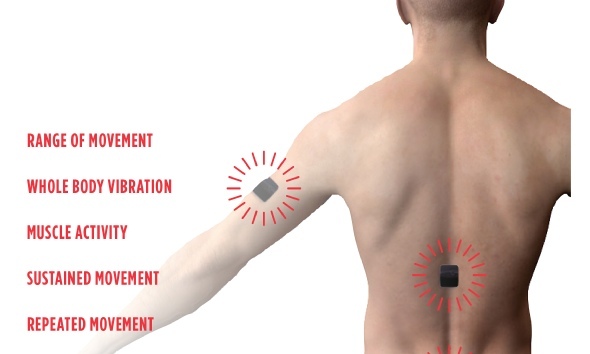 This study won London Construction Awards Health and Safety Solution of the Year in 2016.
dorsaVi has developed wearable sensor technology which enables – for the first time – many aspects of detailed human movement, position and posture to be accurately and objectively quantified outside a biomechanics lab, in both real-time and real situations. dorsaVi technology is used by elite sports teams, clinics, and companies around the world to help them prevent musculoskeletal injuries. How? Inertial sensors, measuring on 3 axes (accelerometer, gyroscope, and magnetometer) capture data about range and quality of movement. 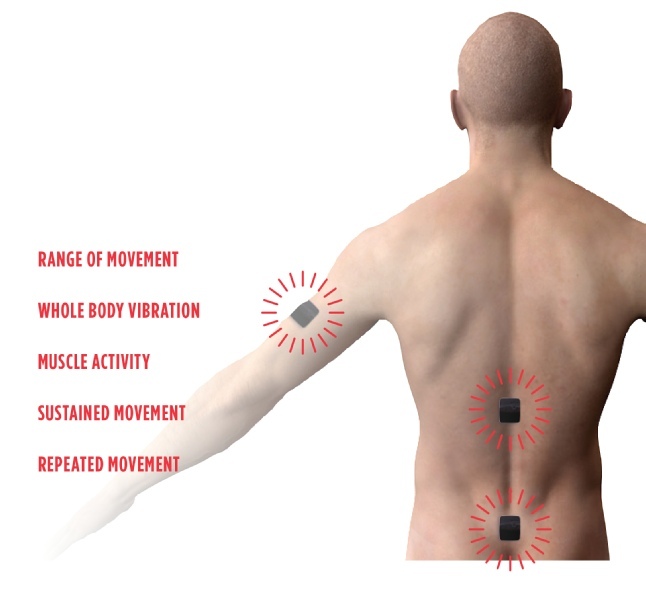 Surface EMG sensors capture muscle activity data at the same time. Placement of both is specific and validated, and synchronised with video footage. It’s as if you could stand and observe a worker from all angles at once, see what their muscles are doing, and have the ability to return to this data at any time, for solution planning, or training.